Whatever stage of life you’re at, now is a good time to check whether you are on track to enjoy a comfortable retirement, says Managing Director of Lighthouse Financial Advice Ltd Lee Barnard. Did you make any New Year resolutions? Go to the gym, eat more healthily, make more time for yourself? Save more in to your pension? OK, this last one is unlikely. However, it’s important to note that unless you make additional pension provisions, you could find that your income falls by half, or possibly more, when you retire. A percentage of your gross salary is deducted and paid into the Teachers’ Pension Scheme (TPS) or Local Government Pension Scheme (LGPS) each month. You receive tax relief on your contributions. Your employer contributes as well, with the total percentage of your salary paid into your pension ranging from roughly 7.4%–11.7% (tax year 18/19), depending on your salary. Will the TPS or LGPS give you enough? Whether your teachers’ or local government pension will provide enough will depend on how much you have accumulated in your pensions, how much state pension you will receive, whether you have other savings and how much income you think you will need. It is best to talk to a professional financial adviser specialising in advising education professionals to work this out. 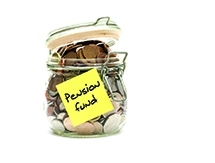 Start early To state the obvious, the earlier you start saving, the better, as you have longer to accumulate the pension pot you need, either within the teachers’ or local government schemes, through Additional Voluntary Contributions (AVCs) or a personal pension plan. Small amounts can make a big difference Saving as little as £50 or £100 more each month can, over time, make a noticeable difference to your eventual retirement income. You should review your finances each year and see whether you can save a bit more. How much should you save? As a rough guide, saving approximately 15% of your income in the Teachers’ Pension Scheme, Local Government Pension Scheme or other suitable and appropriately managed pension plans during your working life should enable you to maintain your lifestyle when you retire. Could you retire early? This will depend on when you want to retire, the kind of lifestyle you want, when you retire and, therefore, how much income you are likely to need and how you may be able to make up any shortfall in income. How much can you pay in? Each year a total of £40,000 (tax year 18/19) can be added to your various pensions, assuming you have not yet started to draw a pension. If you go over the annual allowance you will have to pay tax on the excess amount. However, you can carry forward unused allowances from the previous three tax years. Beware the upper savings limits The Lifetime Allowance (LTA), the total amount you can hold in pensions without having to pay additional tax when you draw them, is currently £1,030,000. This may sound a lot, but successful senior educational professionals can find that they exceed it. You should check the total value of any pensions you have. If you have already exceeded the allowance or are about to do so, you should talk to a professional financial adviser. Career break? If you took a career break and missed out on contributions into your occupational pension you could consider paying in more to replace them. AVCs, additional pension or personal pension plan? Your options for saving more in a pension include buying additional pension income, making additional voluntary contributions (AVCs) or paying into a personal pension plan. Each comes with advantages and drawbacks and which is best for you will depend on your circumstances, attitude to risk and when you want to retire. Saving for retirement is complex and it is important to take professional financial advice. As ASCL’s Premier Partner for financial advice, Lighthouse can help you work out how much income you are likely to receive and recommend ways of making up any shortfall. The advice provided is practical, affordable, easy to understand and specific to you. Call 08000 85 85 90 or email appointments@lighthousefa.co.uk to arrange a complimentary, no obligation, initial appointment now. The value of your pension investments held in defined contribution pension schemes can go down as well as up, so you could get back less than you invested.